These days touchscreens and QWERTY keyboards have made their way into every phone segment, and Pantech helped bring them to mid-tier devices with last year’s Pursuit. This summer they have followed it up with the Pursuit II, which makes a few important changes but largely remains the same. 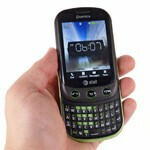 Key features include a 2.8” QVGA touchscreen, QWERTY keyboard, 2.0 megapixel camera and Bluetooth. 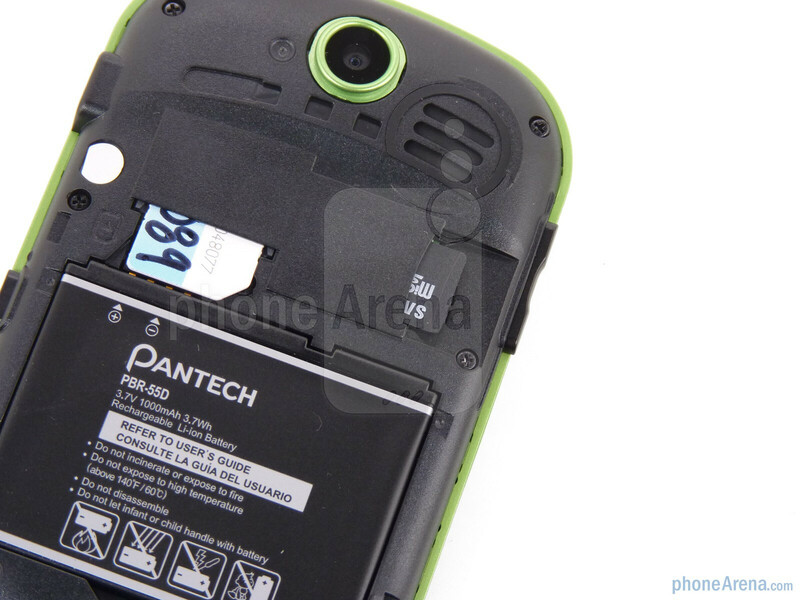 Included with the Pantech Pursuit II you’ll find a microUSB cable and AC adapter. 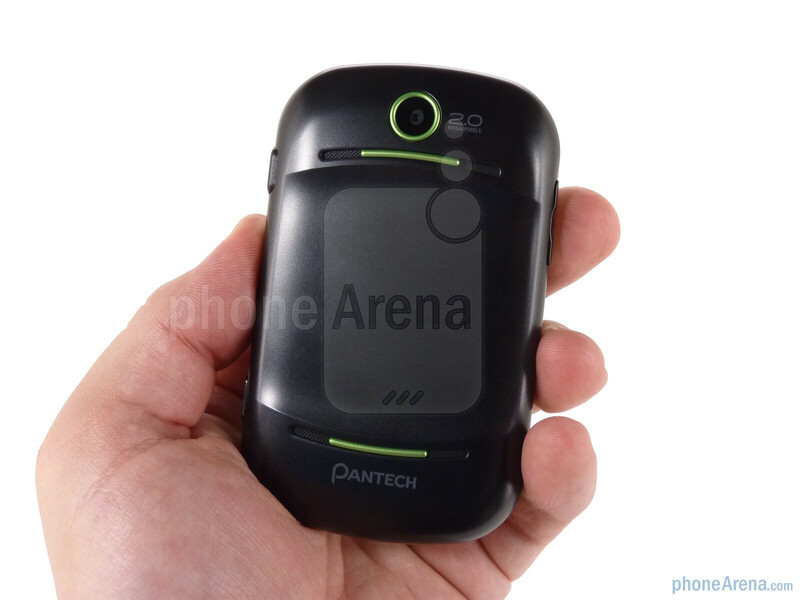 When closed the Pantech Pursuit II looks pretty similar to the original Pursuit, retaining the oblong shape and good sized screen. The 2.8” resistive touchscreen display features 262k colors and is plenty bright and vivid, but does not hold up particularly well to direct sunlight. 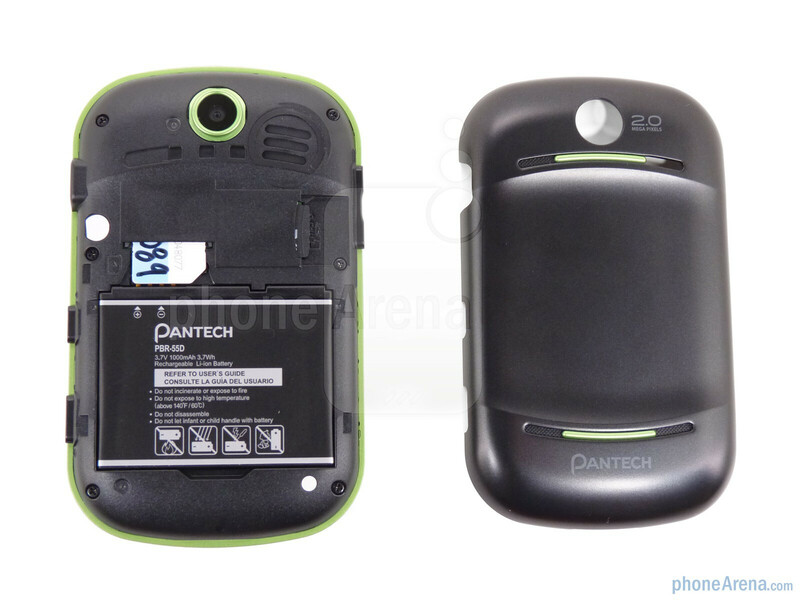 Pantech has made the change from resistive to capacitive on the Pursuit II, which greatly helps the responsiveness. The Pursuit II is quite a bit taller than the original, but overall dimensions remain the same. 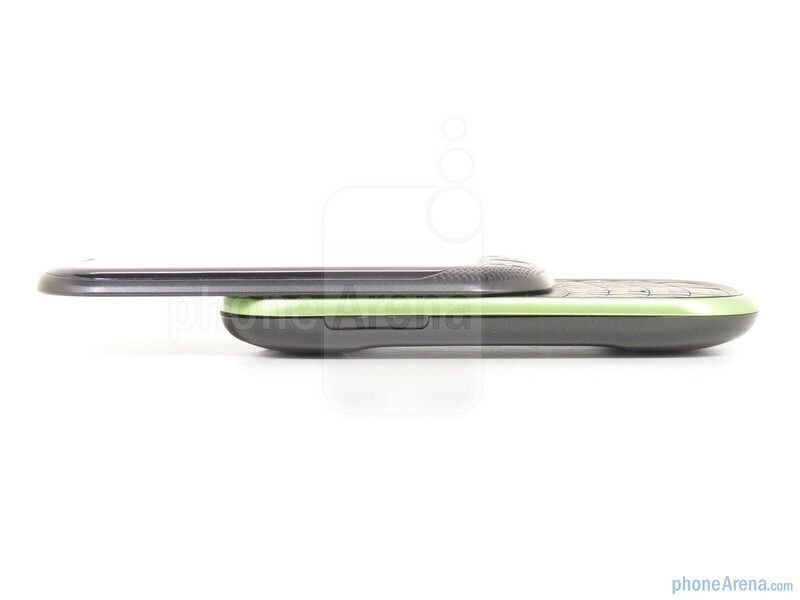 You can compare the Pantech Pursuit II with many other phones using our Size Visualization Tool. 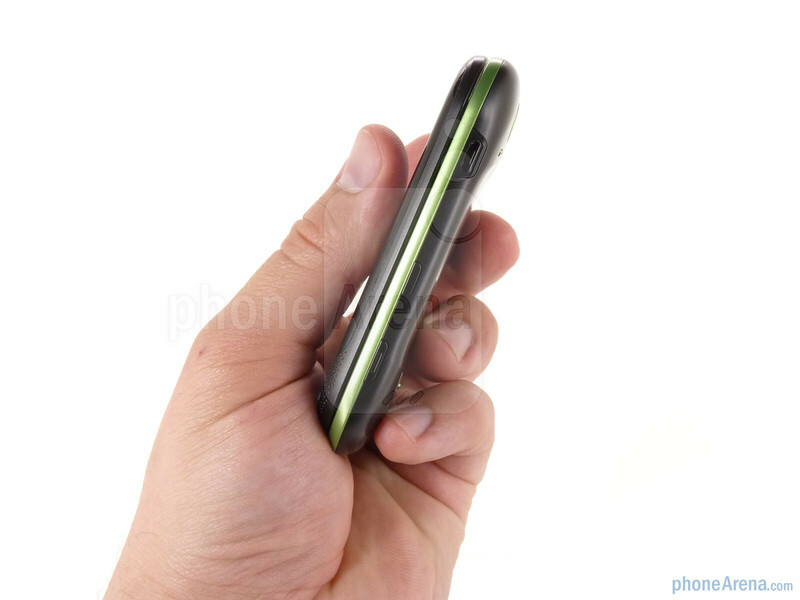 Despite being offered in Kermet green and pink, the colors on the Pursuit II are used to accent the mostly black body and the phone has a more mature look than the rather loud Pursuit. It is tastefully done, with enough color to give the phone some personality but not enough to make the phone unusable to anyone over the age of 23. 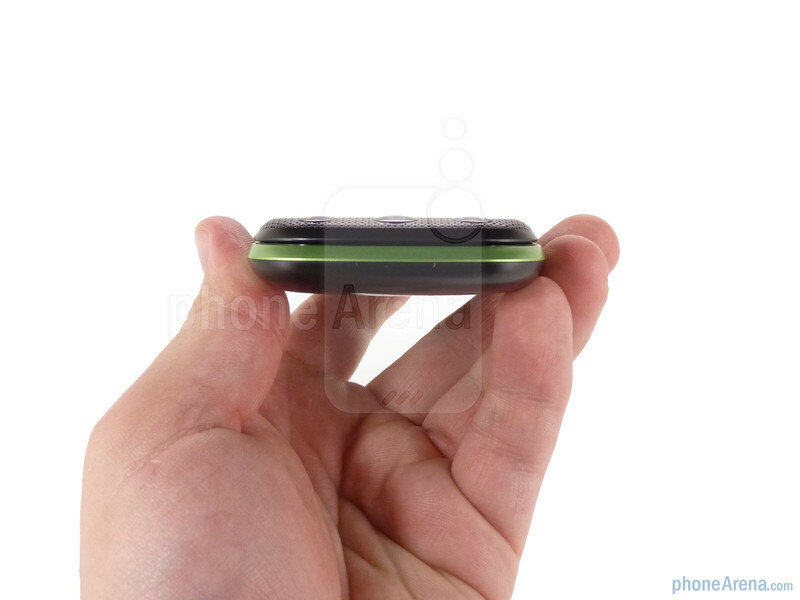 The feel of the phone is good as well; the slider mechanism is solid and even though Pantech did not use soft touch for the battery cover, the phone is not slippery in the hands. 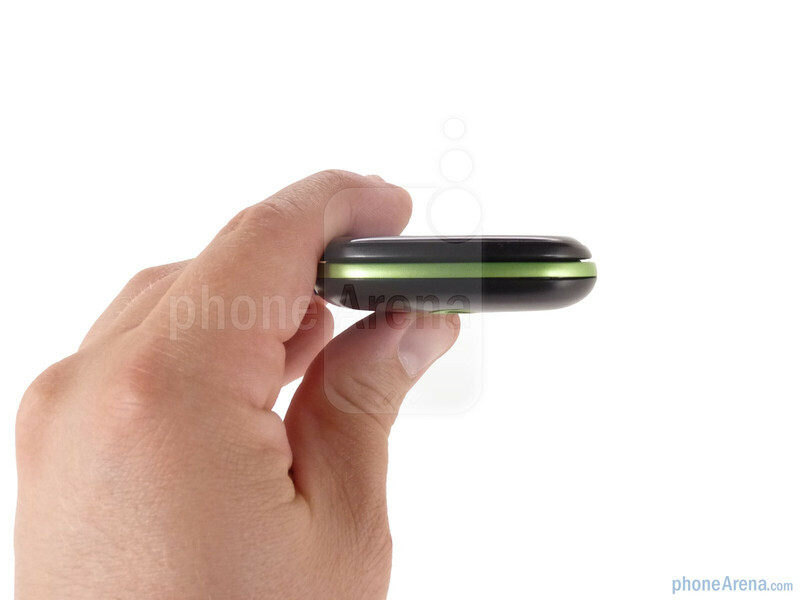 We appreciate that Pantech ditched the touch buttons on the Pursuit for physical ones on the follow-up, quite frankly they didn’t work very well the first time around. This time they’re nice and large with a cool green or pink accent trim. The main difference between the two Pursuits is that the original was a side-slider, whereas the latest is a portrait slide. This obviously makes the keyboard smaller, but the keys remain large enough and we were able to type without issues right out of the box. The spacebar size is our only complaint, but we’d imagine this phone will mostly find itself in the smaller hands of teenagers. Pantech has done a nice job with the Pursuit II. It improves on many elements of the original Pursuit while retaining a quality build. Pantech strikes a good balance between youth and maturity with the less flamboyant design and we appreciate the move to a capacitive touchscreen. 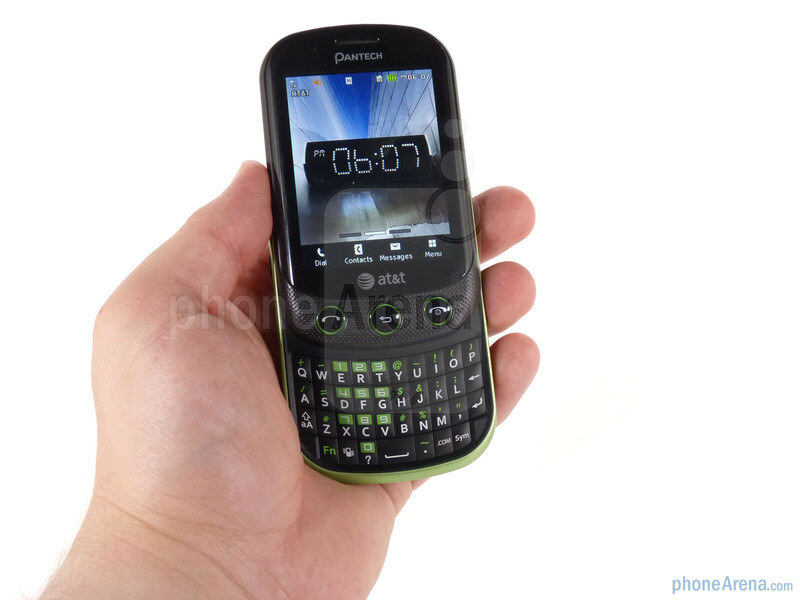 I was looking forward to buying this for my 7th grader, mainly because I had heard that Brew MP is supposed to be a pretty advanced OS for feature phones (I have no desire to pay for yet another data plan, so dumbphones are the only option). Unfortunately, I cannot find any detailed information about Brew MP. 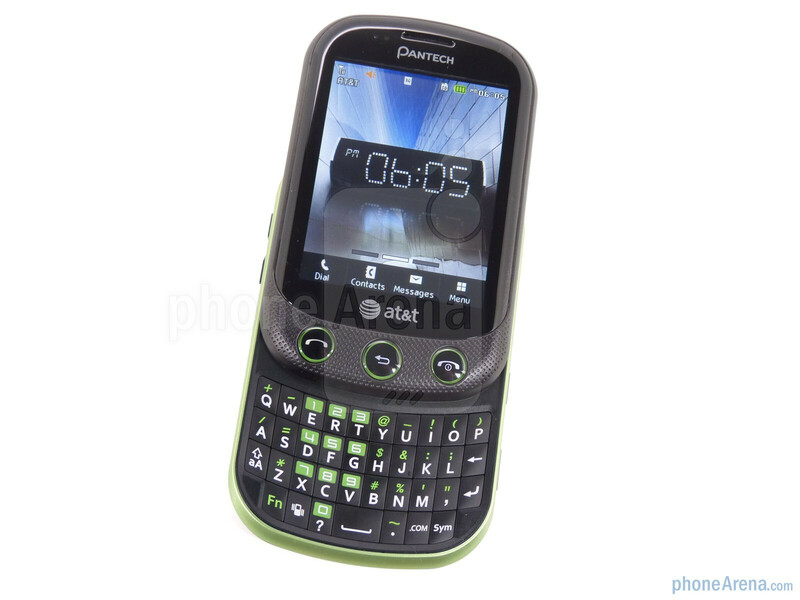 Since the majority of cell phone users are still on dumbphones, I would appreciate if someone did a thorough comparison of the OS options. 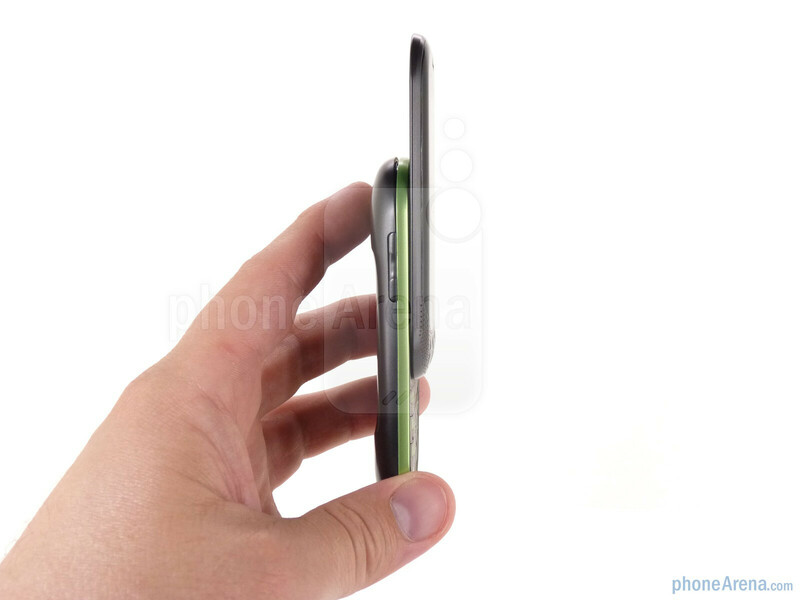 Love my android, but the reality cannot be ignored. That's a good idea. PhoneArena should compare all the mobile operating systems. There aren't many, but it would make a good article. Brew MP, BREW (what Verizon uses), and Java could be compared. I really prefer the Samsung Strive! It's one of the better phones out there. Decent battery life, that's important to me. This Pursuit II is not so charming, from my point of view. Hopefully this iteration improved over the original. I've had the original Pantech Pursuit for a bit over a year now. Luckily, I had the 'insurance' for it. The design and construction was so bad in the past year I've returned no less than five of them (my current is my sixth. ), displaying a consistent two to three month lifespan. Amongst the problems were: Internal antenna failure (twice), screen failure (once, video only, however the screen still displayed flickers of image, leading me to assume it was a very loose connection or something of the like), and mic failure (twice). Through all of this, I was refused a different model. I work at Best Buy and noticed this little bit of plastic on display during my shift today. I will comment on the efficiency of this new model once I feel I've played with it enough. But for now, let this be a warning to all: The original Pursuit (and the second gen blue version) is complete crap, and with the minor updating Pantech has done, expect this phone to be much the same. Oh, and the battery life (thank you Rex.) is about a day of LIGHT use. Again, no reason to expect the second version will be any better. I agree and dissagree. I have had the Pursuit I for about a year and a half, and this is the first time I have had a problem with it. Last year I dropped it in the pool, multiple times it fell out of my purse on the tile floor, It has a long lanyard on it that I like to swing around, and on numerous occasions I have accidentally flung it into a wall. I am an 18 year old girl and do not take care of my phone at all, and yet, the only reason I called the insurance on it is because the 'send' button tends to be unresponsive on the messaging screen, and It tends to call the wrong person from shortcuts. The phone is not the best, but it lasted for me. As an aside, I also maintain my hardware very well. So no big drops, spilled liquid, or anything like that contributed. Sad. I have had the phone for just over a week. I , overall love this phone. I love the shape,both key board and touch screen - which ever you feel like using is great. It is up to date, but not so fancy that I could not figure out how to run it on my own. I like that I could update my samsung strive and not have to add to my pay plan in order to have this phone like a lot of phones you have to do such. The only downfall is the battery life so I have both car and home charger which is necessary. ive had this phone for about two months. i have the pink one. its pretty cool. i love the touchscreen and the cool design. 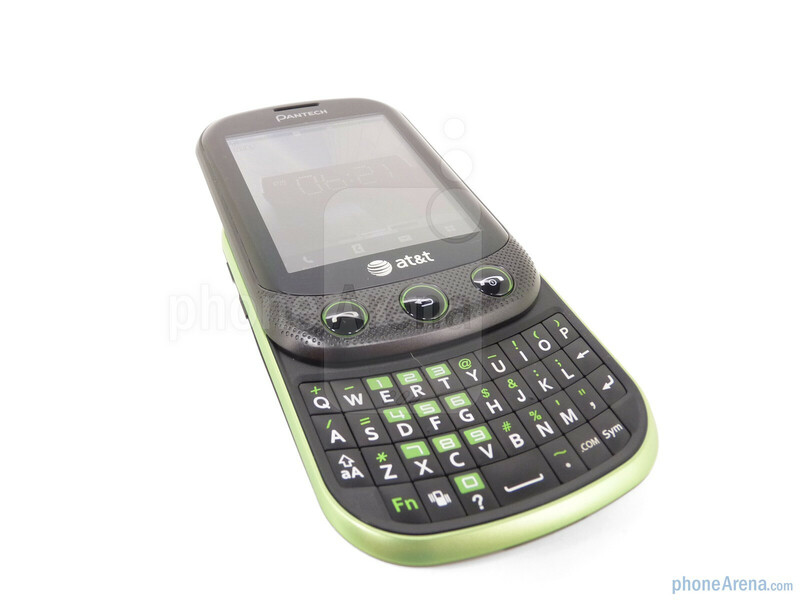 the whole reason i got this phone is because it looked so pretty. the only thing i dislike about this phone is how the screen gets scratched up SO easily! every time i accidentally drop it there are a lot more scratches.there isnt a mm of space without a scratch on it on my phone! still, if you dont mind scratches, this phone is a thumbs up! I love the phone, but the battery life is the pits, I wish Pantech or some other company would come up with an after market better battery. 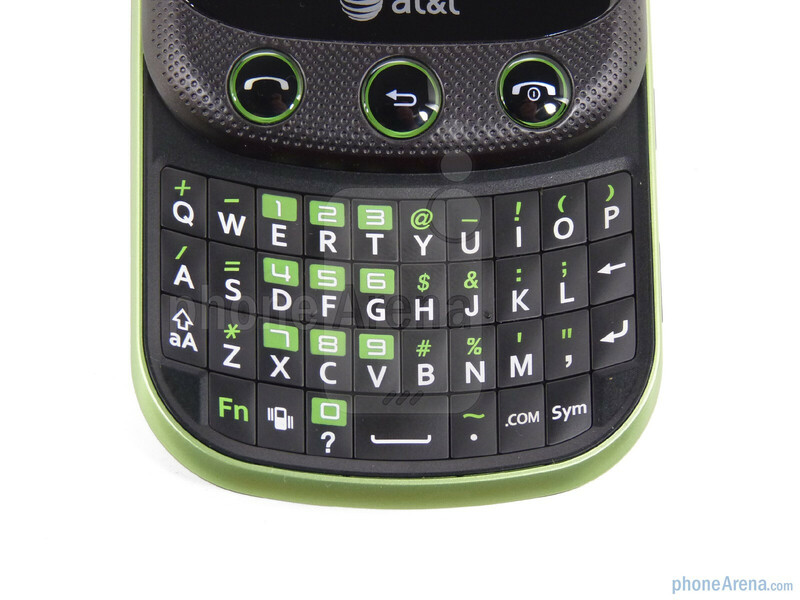 I was sent this phone and it was awful. Nothing worked right and I liked the phone. I returned it for the same phone and it is great now that i have one that functions properly. I love the slider.You can use either keyboard or touch screen. Love its size and shape. I had this phone 31 days and the touch screen doesn't work any more. I LOVED the phone when it worked, but now I am super irritated. Because without the touch screen you have no access to contacts, text messages etc! 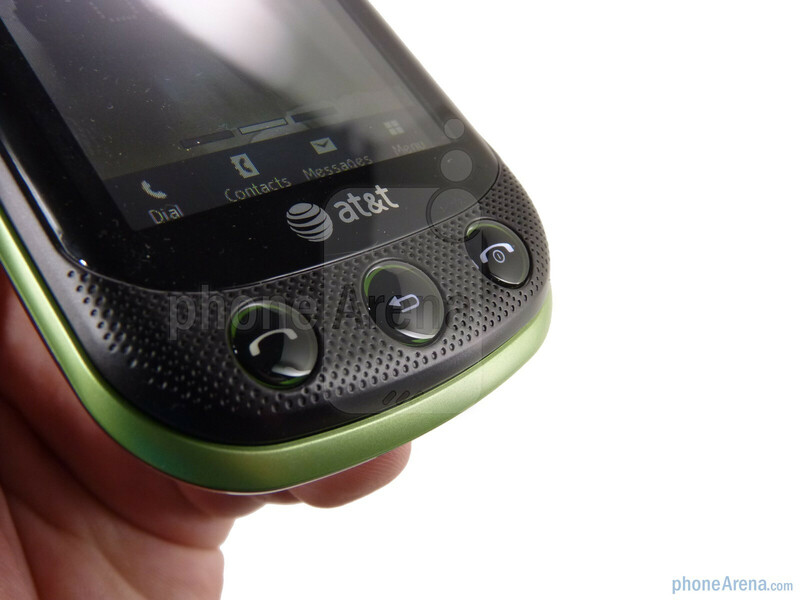 I have the Pantech Pursuit 2, and by far, it has been a Wonderful little phone, other than the fact, that i got a case for it, yet it STILL manages to get scratches on the Entire thing, rather it be the Screen, Camera Lens, or ANY part of it! I have recently started having problems with this phone! I have only had it for 3 months now! I have an insurance policy, but it won't let me sign up on AT&T for an Online account, because i'm not the Initial Contract owner! My name is on the account to where i can buy things, and do my own stuff without the Contract owner being present because he added me as an Account holder, but my problem is, i NEVER have time to go to the actual AT&T store! I know for sure, all of us that are on the account, have Insurance, but my question is, can anybody tell me, what the insurance covers for this phone? And if i would be eligible to get another phone? I have problems (not every time, just randomly), when calling people, and the screen is getting to where it doesn't work as well... I just need someone to tell me if i can get a different phone, by Insurance, without having to spend ALOT of money to get a New phone, seeing as how I just upgraded 3 months ago! 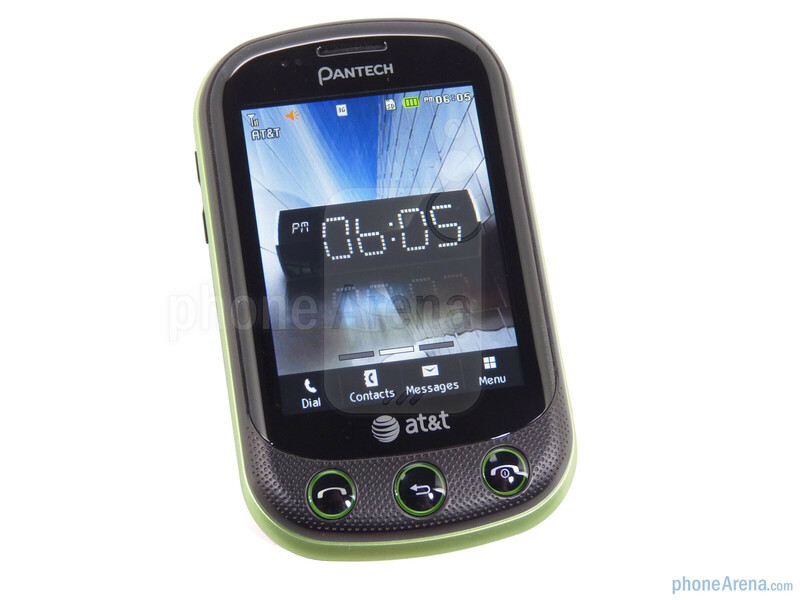 I have had my Pantech Pursuit II only two weeks and it is the worst cell phone I have ever owned! 1- It cuts itself off without me touching it. 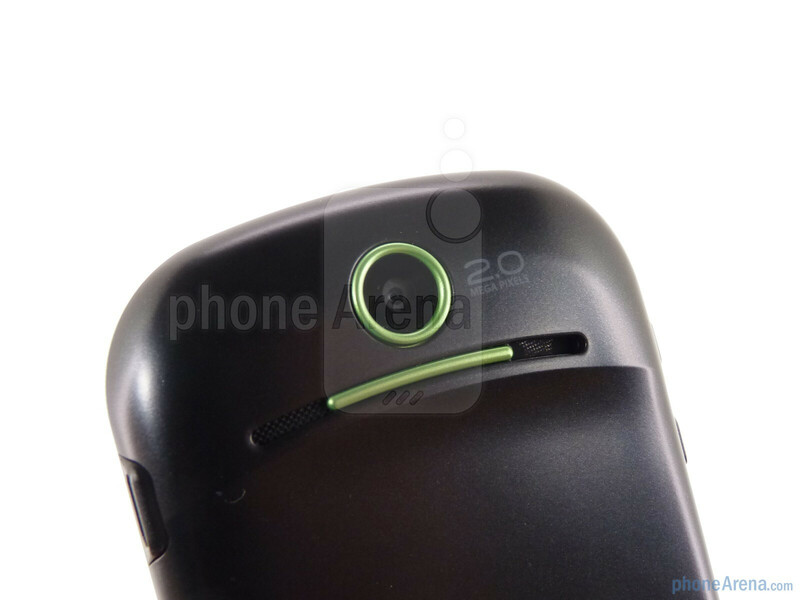 2- Incoming calls will ring once and go to voicemail. 3-Contact screen appears and starts dialing at random. 4- Screen that shows volume level appears at random. 5- Sound quality is lousy. Cute little phone but absolutely no good. Advise anyone do not buy it. Taking this one back to seller.